The Waleska Farmers Market is a place where people go to buy or sell local, homegrown products and handmade arts and crafts. The Waleska Farmers Market experienced its largest opening week for its seventh season on May 26. Opening day consisted of 28 vendors bringing traditional and new items, compared to the market’s previous average of 15-20 weekly vendors. From the numerous vendors, shoppers can find local items including fruits, vegetables, desserts, condiments, bread, eggs, coffee, and homemade arts and crafts. “The Waleska Farmers Market is a great partnership between Reinhardt University and the community,” said Zach White, the Reinhardt University Horticulturalist, Waleska Farmers Market Manager and Owner of Buice Family Farms. White said opening week was a good start the season, but organizers are preparing for more vendors during peak time in late June and early July. Part of what he and others enjoy about the farmers market is everything is local, and all the produce is Georgia-grown. Also, approximately 80 percent of participation at the farmers market is from the Waleska community. With this abundance of community support, the Waleska Farmers Market has significantly grown over the past several years, White said. During 2016 season, the Farmers Market will host several events including the pie-baking and pie-eating contests on July 14. The pie-baking contest will be divide into three groups: youth, adult and professional. The winners will go to the Area Farmers Market finals in August. The Waleska Farmers Market will be held every Thursday from 3-7 p.m. until Sept. 1 and is located behind the North Cherokee Church of Christ in the Reinhardt Parking lot at the corner of Highways 140 and 108. The Shoppers Reward Program returns this year. Shoppers who spend $100 will receive a free T-shirt, and those who spend $200 will receive $10 in Market Bucks. Shoppers must have a verified card with signatures and initials of vendors at the market. Cards can be picked up from White. Limit one shirt and Market Bucks offer per shopper. 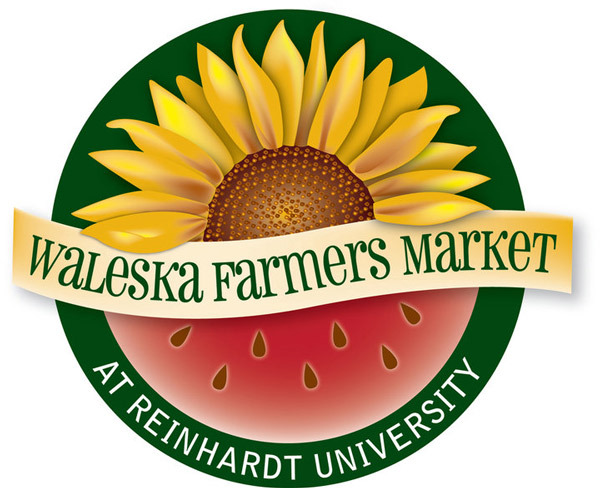 For more information, contact Zach White at ZMW@reinhardt.edu or (770) 720-5988 or visit the “Waleska Famers Market at Reinhardt University” Facebook page.